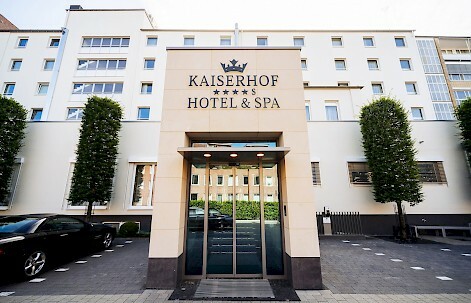 The Kaiserhof Beauty & Spa is a small oasis of tranquillity right in the heart of the lively city of Muenster. Come in, relax and slow down your mind. No matter whether you have just one hour or the whole day - recovery is guaranteed. On a floor area of 400 square meters we offer you soothing whirlpool baths and footbaths, health-promoting saunas, multifunctional showers and an ice fountain as well as a lounge and a rest area with a massage chair. Moreover a small fitness area is available in the Kaiserhof Beauty & Spa. Buy an individual gift certificate for the Kaiserhof Beauty & Spa - convenient and easy in our online shop.